Sara De Bondt and Fraser Muggeridge eds. 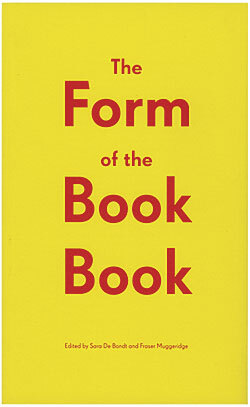 The Form of the Book Book (Occasional Papers, London, 2009). De Smet explores some of unexpected characteristics of LC’s book life: his rejection of the modernism of Swiss book design for French traditionalism and the resultant choice of handwritten and collaged texts over a clean, grid based modernist design. She concludes by wondering whether we should understand Le Corbusier’s book life as curiously anti-modern – particularly in relation to the architecture such books explored – or whether such combinations of book styles is best seen as some kind of proto- post- modernism. This dilemma raises questions about how any practice, conceptually and practically, becomes mediated through the form of the book, and whether a book about that practice supports, extends, or counters the work it contains (also the conversation taking place in and around it). This, in turn, asks how an idea of the book as the place where ideas are presented influences the ideas themselves, even if those are not – as in LC’s architecture – writerly or book based projects. How pervasive is the metaphor of the book in a particular artists/ architects/ writers conception of their work and how it is distributed? How is this image/ metaphor/ ideal book modeled/ negotiated with/ rebuffed/ relished? When texts become distributed through the internet, or through exhibition, or dissolve completely into events and curatorial processes, then what happens to this book archetype, what replaces it as an ideal container for thought in words? Le Corbusier conducts architectural practice in books, so, too, I’m thinking about a book practice conducted by writers-artists in speech, exhibition, and curatorial idea-storms. 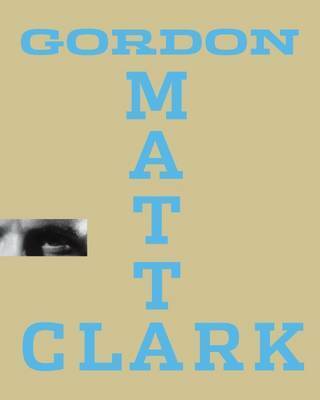 The second essay I’ve been returning to is James Goggins “The Matta-Clark Complex: Materials, Interpretation and the Designer.” Goggins offers a brief survey of monographs of Matta-Clark, and how designers have felt a need to approximate in their book designs the artists own strategies of slicing and cut through, removing a chunk of the book’s spine or making cut-out squares in its cover through which the Matta Clark eye peers. AN ELABORATION: I’ve had the idea of adopting The Matta-Clark Complex, but embracing rather than rejecting the more excessive, parodic elements of its design conversation. It suggests that artists relate to each others work on a very physical and cumbersome architectural level, ever prone – particularly when the artists are historical-dead-canonized like Matta Clark – to parody-inflation-imbalance. 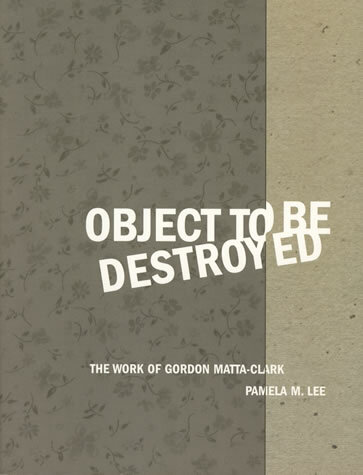 I propose: writing that emerges out of The Matta Clark Complex will find itself abandoning the essay and the book as containers for its thought, finding those objects too cut through and sliced to be useful, but finding a landscape rich with the possibilities of a new Cardboard Language. NOTE: Several aspects of Cardboard Language may require elaboration at the future moment when Cardboard Language has come to be.